Finally! 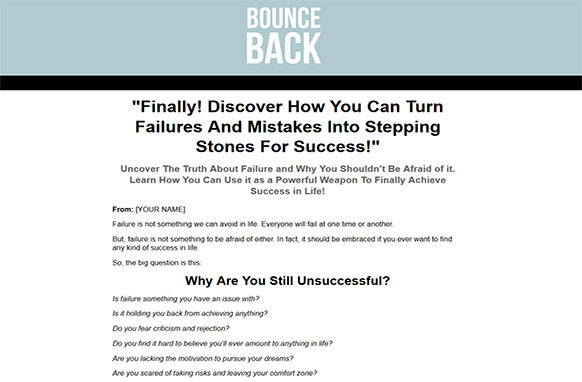 Discover How You Can Turn Failures And Mistakes Into Stepping Stones For Success. Uncover The Truth About Failure and Why You Shouldn’t Be Afraid of it. Learn How You Can Use it as a Powerful Weapon To Finally Achieve Success in Life! Failure is not something we can avoid in life. Everyone will fail at one time or another. But, failure is not something to be afraid of either. In fact, it should be embraced if you ever want to find any kind of success in life. No matter how many times you fail, it will always sting. But don’t let that affect you forever. If you do, then you’ll forever be known as a failure. Prove to everyone they’re wrong about you being a failure. 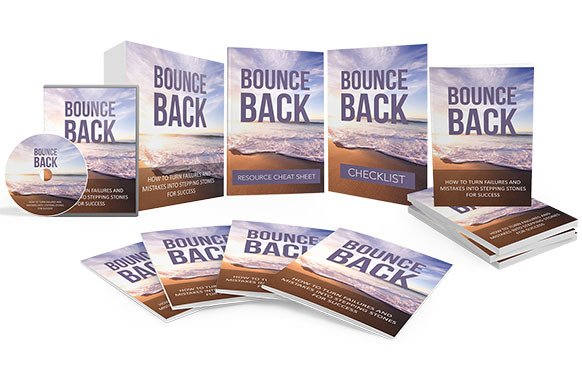 Show the whole world you have what it takes to bounce back from failure and achieve your dreams.